Express Rip is a fast, and easy-to-use tool to extract (rip) music from your Audio CDs and convert it to to mp3, wma, m4a, aac, aiff or wav files on your local PC. It supports adjustable output quality settings as well as variable bitrate. Express Rip uses a proprietary digital extraction method that produces very fast extraction speeds. 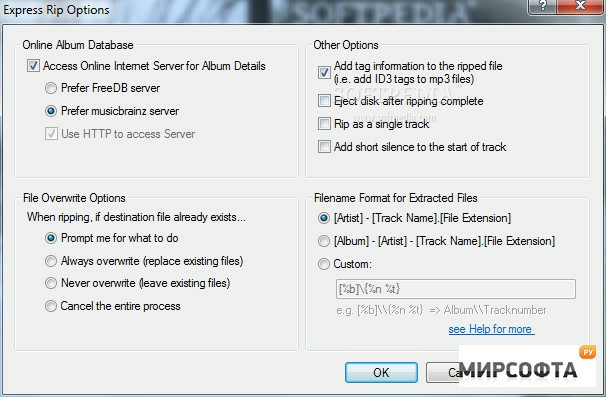 The program also supports online lookup of artist and album information via FreeDB.